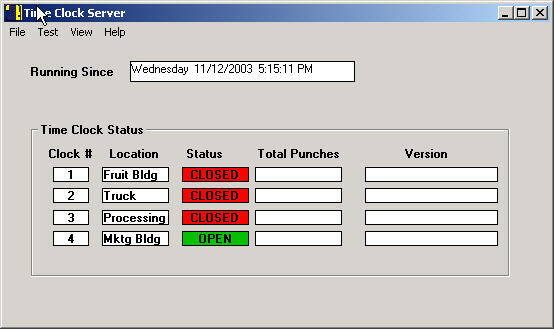 The Time Clock Server runs continuously to scan all the time clock terminals and store the information in its database. 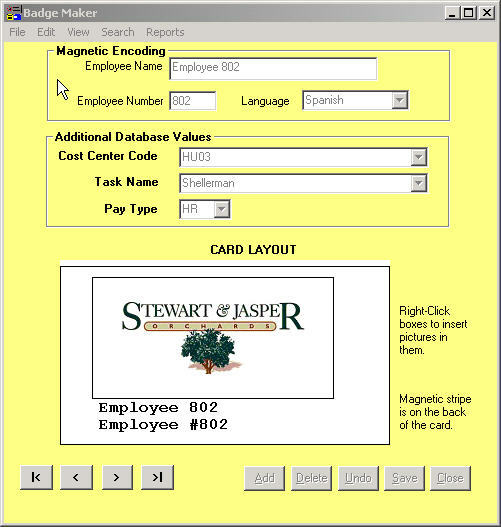 The Badge Maker program is used to make employee badges and assign Cost Center Codes, Task Names and Pay Types that will be used to export to the accounting software. 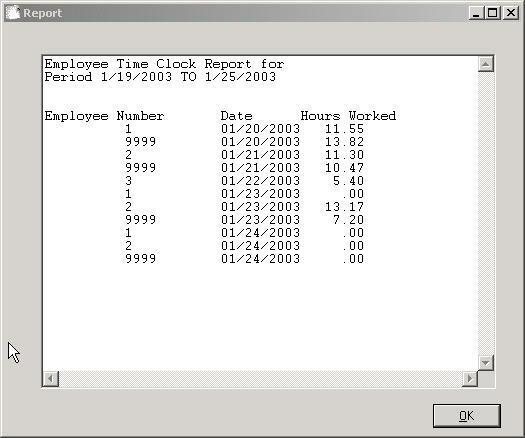 The Time Keeper program is used by the time clerk to manage the time clock data before it is transferred to the accounting system. The defaults for employees are specified here. 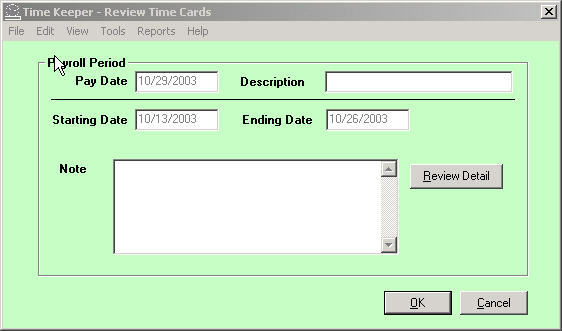 After importing the time clock punches, the data is reviewed and edited for the period. 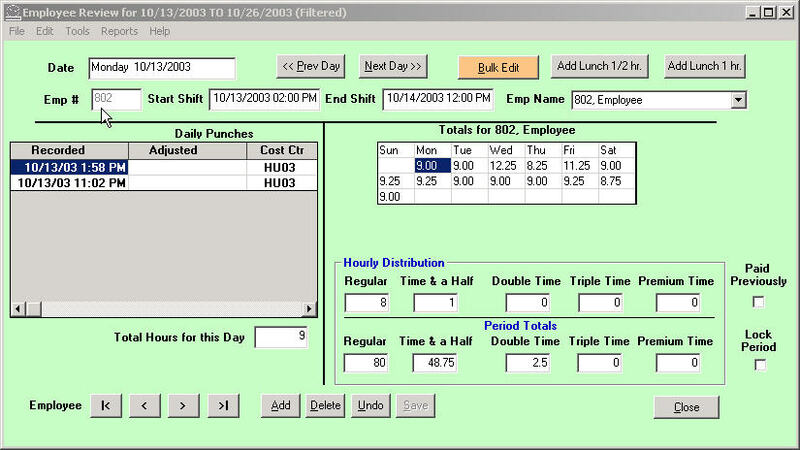 Each day and each employee's data can be modified and an audit trail is maintained. A quick report shows the totals on screen.